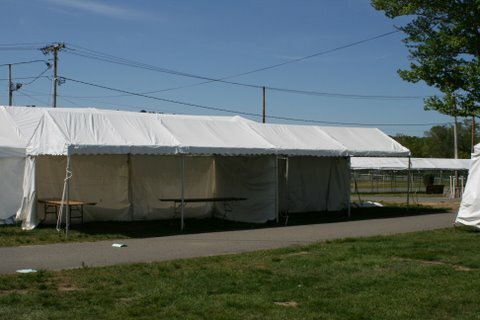 Sidewall can be installed on all sides of the tent, or selected sides depending on weather conditions. Use selected sides to protect your event against a breeze or leave them totally open to enjoy a warm day or night. Sidewall can also be rolled or tied back at installation, so as the night falls you can easily let them down to protect your guests again an evening chill. This gives you the flexibility to enjoy the natural beauty of the tent and not sacrifice the beauty of the openness of the tent; while still having the protection of sidewall at a moments notice. Solid sidewall can also be used to divide your tent into sections. This is useful for festivals with vendors or shows which might require private dressing areas.